The Amazing, The Stupendous! – 365, 183, originally uploaded by Fluttering By. 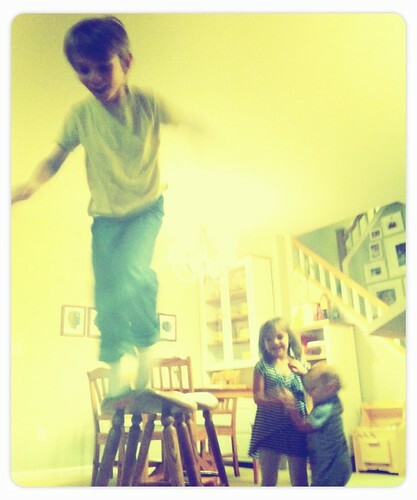 The daredevil children decided this evening that it would be fun to jump from the kitchen stools onto pillows below. « Sunsets are the Best.